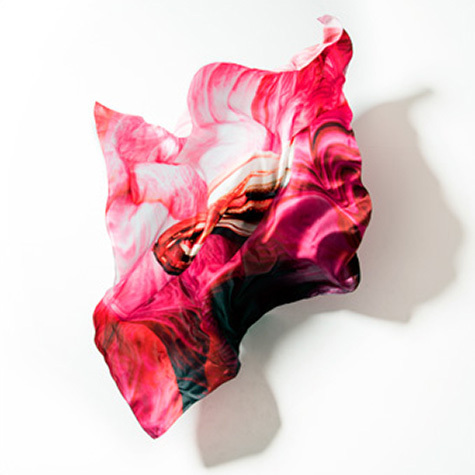 Silk scarf printed 6 types of "scent of woman" by Ayako Suwa. Digital high-precision print on 100% smooth silk by best textile manufacturer in Japanese. This is a luxury fashion to taste your curiosity. 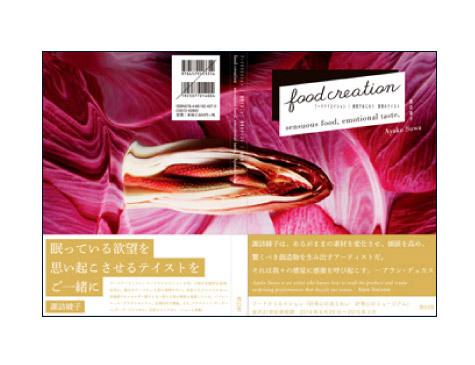 The first photo collection book "food creation" by Ayako Suwa. Through this book, you will find the door to creative mind of Ayako Suwa. Her first book will show surprise and the food art to you. It is not only ordinary art photobook. 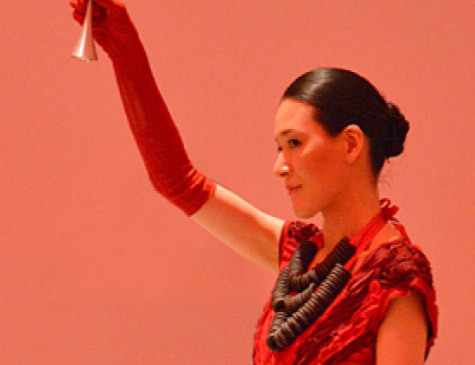 Her surprising concept, sketching and statement are written down. Tabloid published at the same time as Ayako Suwa solo exhibition "LOST TONGUES" at Laforet museum HARAJUKU, Tokyo 2010. Limited editions. 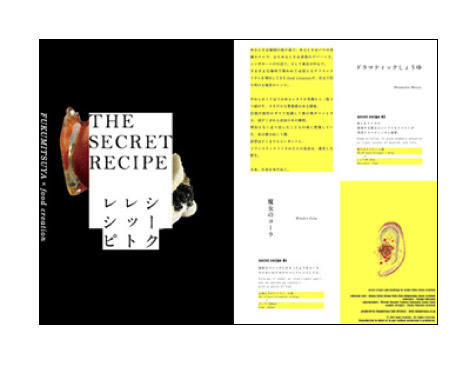 Secret recipes by Ayako Suwa using "emotional essence." 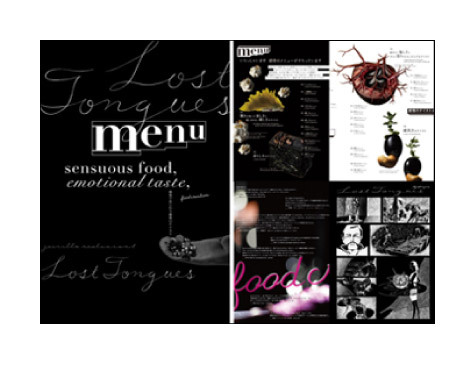 This collection includes 19 elegant, passionate and humorous recipes created with Ayako's unique sense, including recipes for "Dramatic Shoyu," "Hypnotic Milk," and "Moody Bean Paste." With these recipes, you can experience these essences combined with a variety of ingredients, from familiar seasonings and tea to cheese and Japanese sake. In addition, this book is chock full of Ayako's original drawings and never-before-published photos. This is a new style of food product as a result of collaboration between Fukumitsuya's craftsmanship and Food Creation's innovative ideas. "Perfume that you savor" It brings back your rich sentiment and frees your mind.You can choose just the right essence to suit your mood. Producer : hokka co., ltd.
"JEWELRY KANPAN No.2 Taste of curiosity" is a fruit of unique collaboration between food creation and Hokuriku confectionery "HOKKA", who cultivated the technologies and know-how of producing fine biscuits. 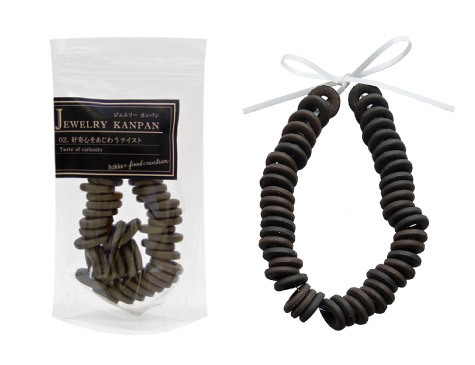 Black biscuits with fascinating taste of black pepper and fig may arouse your curiosity deep within, by tasting it or wearing as a necklace. For limited amount only.